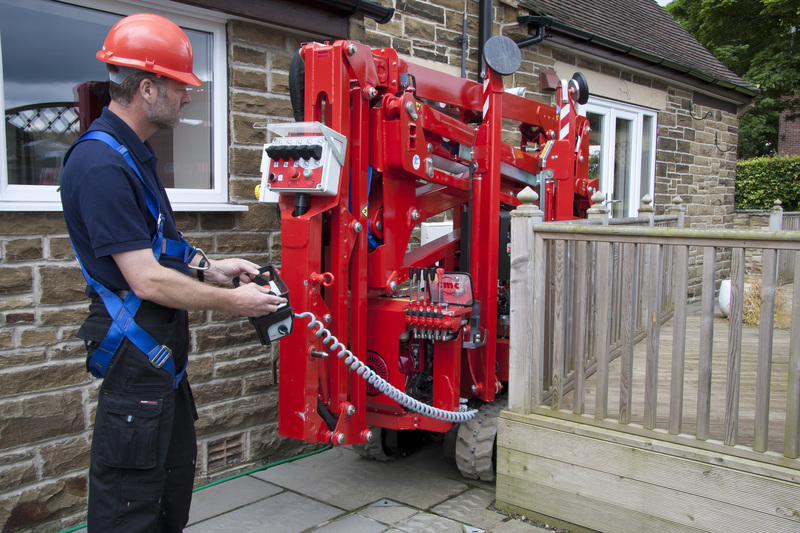 Our spiderlifts feature very compact dimensions to allow access into tight spaces and through standard doorways. Spider lifts up to 20m working height are just 780mm wide to allow access through single doorways. 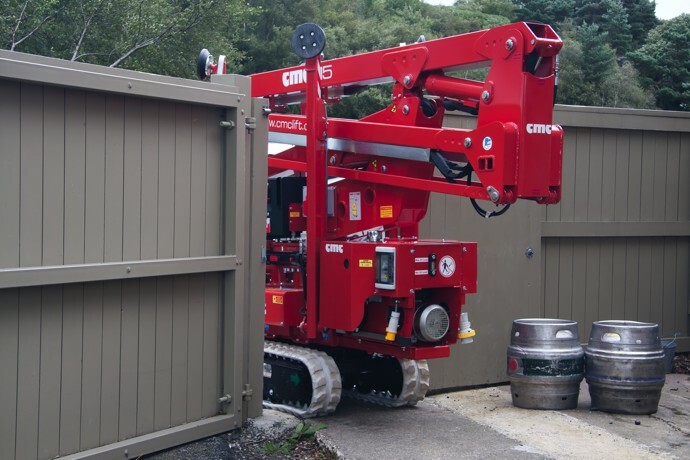 Our larger tracked access platforms are under 1500mm wide to still allow access through double doorways. 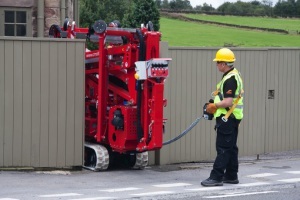 All models are under 2m tall when closed, so they can drive under standard doorways too. 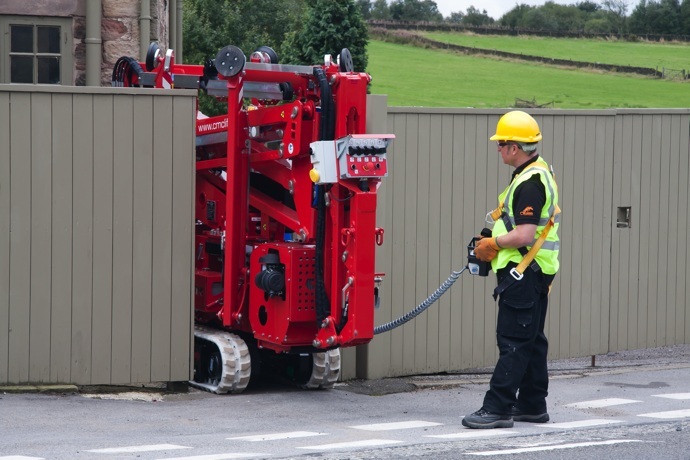 Another feature of these tracked access platforms is dual power source, with engines for running outside, they also feature AC motors or lithium-ion battery packs for working indoors. The spiderlift’s tracked chassis spreads the load of the machine on the ground, this coupled with the spider lift’s very low weight ensure that a very low load is exerted on the ground, so you can drive onto delicate floors such as timber or tile as well as across soft ground outdoors.